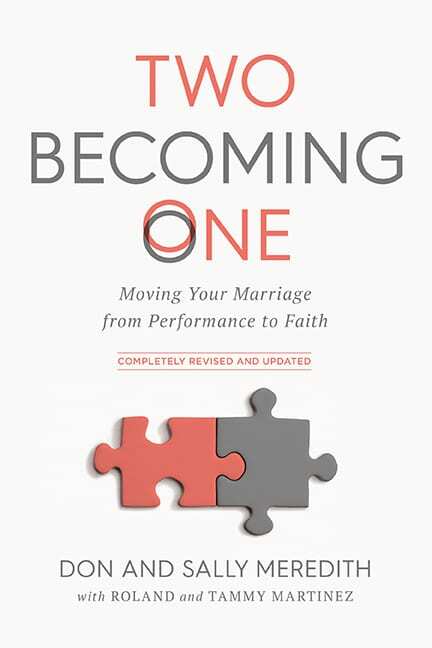 It is challenging to reconcile with our spouse and other important relationships without first reconciling with God. But what does reconciliation with God look like? We at Christian Family Life believe Scripture provides us a clear pathway to reconciliation with God. Acknowledge that we are sinners. There are consequences for our sin. We are unable to bridge the gap between our sin and God’s requirement of perfection, so God provides a way for us. We must confess our sin to God and willingly accept Christ’s sacrifice on our behalf as payment for our sin debt with God. We restore our relationship of peace with God. We believe that there is only one living and true God, who exists in three distinct persons—God the Father, Son and Holy Spirit. These three, the Trinity, are equal in essence and distinct in function (Deuteronomy 6:4; Matthew 28:19). The first person of the Trinity orders and directs all things according to his purpose and pleasure. He has created humanity to bring him glory and honor, through his grace. While he is transcendent, he is also actively involved in his creation—offering a life-giving and eternal relationship with us through his Son Jesus Christ (Matthew 6:9; John 5:19-24; Ephesians 1:3-6; 2:1-10). We were created in the image of God, destined to enjoy an intimate relationship with God, fulfilling his will here on earth. But because of Adam and Eve’s willful sin in the garden, sin entered into the world, and has infected all of humanity. Therefore, because of our inherent sinful nature received from our father Adam, we are all separated from God, spiritually dead, and destined for physical death and an eternity removed from God (Genesis 1-3; Romans 1:18-32; Romans 3; Romans 5; Ephesians 2:1-3). We believe that Jesus Christ died for our sins as the only sufficient sacrifice, offering the atonement of sins for all mankind through his death, burial and resurrection. While salvation is available to all, it is only experienced by those who respond to God’s gracious gift by faith apart from works. For those who do respond we are regenerated and baptized by the Holy Spirit, becoming children of God, given a new nature and placed into the universal body of Christ, making us eternally secure in him. As a result of our new relationship with God through his son Jesus, we are now called to a life of submission to the Holy Spirit, manifesting spiritual fruit, and walking in good works that God has prepared beforehand for us to do (John 14:6; Titus 3:4-7; Acts 4:12; John 1:12; Romans 3:21-26; Ephesians 1:7, 2:8-9; Hebrews 10:10-12; I John 5:11-13; Galatians 3:26; John 3:16). For all who have placed their faith in God through his son Jesus Christ, they are a part of the universal body of believers known as the church. This placement of the believer into the universal church requires an association of the believer with other followers of Christ in a local assembly. The purpose of the local church is to lead people to Christ and to bring them to maturity in Christ. The members of the local church are to live their lives in humble submission to other Spirit-led believers, and to the God-appointed leaders of the church (Hebrews 10:24-25; Acts 2:41-47; I Corinthians 12-14; Matthew 28-18-20; Ephesians 2:19-22; I Thessalonians 4:15-17). We believe that the next great event in human history will be the return of Jesus Christ for his children. This is the blessed hope for all followers of Jesus Christ. While this event is a prophetic truth of Scripture, we acknowledge that the point of Christ’s return is not for the believer to passively await this event, but to labor with all of our might in the power of the Spirit to fulfill his will in our lives through righteous living, evangelism and discipleship. After the return of Christ, those who accepted God’s gracious gift of salvation will worship God forever in heaven. Those who did not will spend an eternity separated from him in hell. (Matthew 24:36; I Thessalonians 4:15-17; John 14:1-3; Matthew 24-25).